I hereby pledge my support for the goal and principles of anti-racism education and will work towards eliminating racism from our schools and society as a whole. I am a redhead and currently a relief teacher. 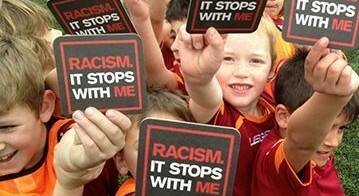 Redheads I have recently discovered take a great deal of negative comments, ‘Ranga’ being one form of many in schools. Racism is when people make other people feel bad about their colour. racism is against the law. Please don’t make fun of people and try to tell that to others. Please note that the views expressed above do not necessarily represent the views of the Racism. No way!. Comments that are deemed to be offensive or racist are not published on this site. Pledges submitted to the site are uploaded on a regular basis.